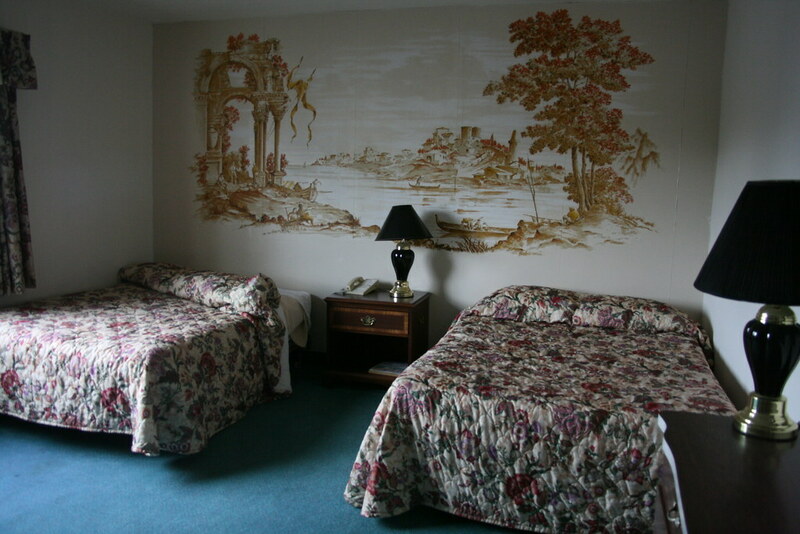 A rather unusually large scene is depicted on the wallpaper in most of the main building guest rooms. However, in rooms without panoramic wallpaper, there was often a post-modern Asian theme, as you will likely see later. As before the beds look like they could be slept in tonight and the floors are vacuumed.